Similar to other collectibles, there are a thousand ways you can collect lures & associated items from the old Creek Chub Bait Co. in Garrett, Indiana (1916-1978/'79). Most beginners make a few false starts before they get on track while others never seem to find their way, resulting in a hodge-podge assembly of lures that have little meaning or cohesion. You should know that collecting CCBCo doesn't have to cost a king's ransom. Your cash outlay depends directly on which series you decide to collect. Everyone is on a budget, especially the discretionary money set aside for your hobbies. It's important to figure out which areas of Creek Chub you enjoy the most, then decide if these examples fit into your realistic goals & pocketbook. Initially, you need a plan of attack that will allow you to assemble a collection over time that will elicit the greatest enjoyment. As an example, if you really like CCBCo Darters, by all means investigate this area. As I've said there is a right & wrong way to collect anything. I've been observing collector trends & have been a full time dealer/collector of vintage collectibles since the early 1960's. I'm going to make some fairly harsh statements that may rile some but should be of help if you keep an open mind. These insights are the result of my own buying mistakes as well as others I've witnessed over the years. You will also see several references to the eventual sale of your collection. I believe it's important to have a complete plan in place including the eventual dispersal of your old lures. Now, let's list some of the most important steps in putting together a great CCBCo collection. Again, this "program" works to your benefit no matter your budget. 1. Decide On An Area To Collect - Few can afford to collect the entire spectrum of Creek Chub. You should start by assembling a good library of lure books but your "bible" should be "Collector's Encyclopedia of Creek Chub, 2nd Edition" by Dr. Harold Smith plus his other publications. See what colors and/or series get your blood pumping & work toward building your collection around these lures. Also go online & see what educational lure sites deal with Creek Chub. 2. Take Your Time Starting - One of the most difficult disciplines is to start slow until you're completely sure of what you want. Attend some shows, ask a thousand questions, but remember the final direction must come from you because advice may vary from one enthusiast to the next. Also, check online to see what like-kind lures are bringing. a. You'll eventually compromise by adding low condition lures in order to fill out your collection. b. By focusing on a finite specialty, you may be looking for lures that are virtually nonexistent. The result is a frustration that may cause you to lose interest in your collection. After all, part of the fun is finding additions on a fairly regular basis. You don't need to chase the entire world of CCBCo but don't get to the point where collecting becomes nearly impossible. 4. Condition, Condition, Condition - In the world of collecting exceptional quality will usually outsell rarity! What does that mean? I've seen it happen in all types of vintage goods. A fairly common item in outstanding condition is for sale next to a rarer example in crummy condition. Nine times out of ten the pretty piece with great "eye appeal" sails away while the ugly duckling rarity never seems to leave - unless the seller lucks out & a specialist comes along (hallelujah). Many collectors rationalize that they want lures that have "been fished hard" in order to avoid repaints. That's everyone's choice but if the eventual sale of your collection is important, you'll see the great condition lures fly out of your collection at a much faster clip, overall, than VG specimens. 5. Paying A Little Extra For The Best - Everyone loves a bargain but in the world of collecting the super condition items rarely go begging. If you were born with short arms & long pockets (code for a little tight with the dollar), you may never understand why someone would pay $50.00 for a mint bait when you can buy an "acceptable" example (read VG) for $20.00. Again, I'm not telling anyone how to spend their money but I think it's a wiser choice to have fifty great condition lures in a collection rather than 300 so-so specimens. The argument that everyone can't necessarily afford the top-end lures fades if you remember to collect an area of CCBCo that is within your budget even in the best grades. Many mint-in-the box spinning baits made in the 1950's can still be purchased at around $25.00. Sometimes, it may be necessary to "overpay" a few dollars for the most elusive items. As you home in on the rarest issues you may have to "stretch" for an example you've wanted for many moons. Sometimes it's OK to pay strong for the best, because when you're ready to sell someday, these same lures are the ones you can also sell for "a little too much." 6. The Sum Is Worth More Than The Parts - Ever notice how some common lures attract a lot of attention when they are pristine in-the-box condition? There is often a much higher demand when nice lures are housed in correct numbered box with all the extras such as pocket catalogs, order forms, hang tags, etc., In fact some buyers will only buy lures if they are boxed correctly & will pay a bonus for the privilege. I think it's a mistake to buy only in this manner because a ton of great "loose" baits & scarce empty boxes are left behind that you may never find again. Instead, I think you should buy whatever comes first, be it the lure or box. Also, accumulate as many pocket catalogs & other box contents as possible in order to fill out your eventual boxed bait. Some like to hang their lures on a display board but it's still wise to have the boxes stored away when it comes time to sell. It will broaden your market. 7. Learn From The Old Timers - Ask around for the experts in your field of interest & you'll be surprised how the same names surface repeatedly. Then build a working relationship with those in which you feel confident & comfortable. They may not mind helping you, but no one likes a "one way street", so don't forget to make every effort to return the favor to them in the future. Nevertheless, in the end, you'll have to sort out all their advice & make your own way in the world of collectible lures. #700 - Lure, Box, Pocket Catalog, Order Form, Hang Tag, (total cost). This shows you exactly what you own without any guessing. You may want to list the condition of the box in case you find an upgrade or the variety of the lure (e.g. double line tie). It's easy to change your total cost as you add more goodies to the package. Just delete the old cost & enter the new total. You may want to place an inventory card in each lure box or a tag on each lure as a backup. Someday, this may help you immensely when it's time to sell or for insurance reasons. 9. Join A Lure Club - Become active & meet the other Creek Chub collectors. Go to shows & make every effort to attend the National Fishing Lure Collector's Club annual meet. Most of the major players are there. You will expand your learning curve dramatically rather than depending on one or two local hobbyists with possibly sketchy information. Don't be a "closet" collector; then find out too late that most of your collection is so unexciting that it is nearly impossible to sell. In order to build a desirable collection, you must contact others who share your passion & can offer you insights that you may never learn on your own. 10. 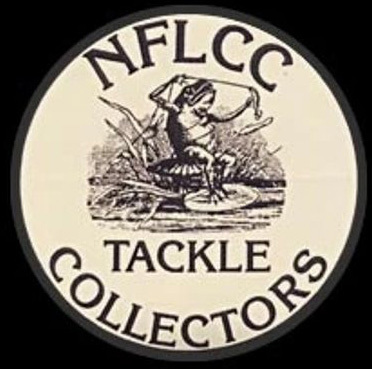 Help Other Collectors - As your knowledge & experience expands you will be in a position to help newer collectors or those who have a CCBCo question but collect other lure companies. This kindness may be returned when a fellow collector steers you toward a lure you need or helps you with a problem at some distant show. Don't expect anything. Just enjoy the hobby & good things will follow. Some may argue they can build their lure collection from non-collectors, garage & estate sales. IF you have the time to visit every nontraditional source for your lure collection & you have the ability to trade these finds for lures you need to complete your collection, you are indeed a talented & rare exception to the average collector. For the rest of us, we will continue to buy the majority of our old baits from the usual sources: other collectors, dealers, attending lure auctions & online.